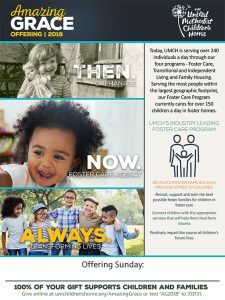 The United Methodist Children’s Home Amazing Grace Offering calls on Christian people to help us realize the day when all children live in a loving, compassionate, and nurturing home. 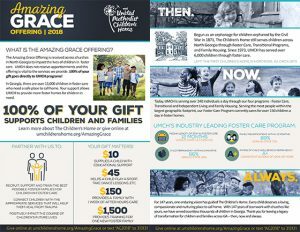 By collecting our special offering, which is taken once a year across the North Georgia Conference to provide a significant portion of The Children’s Home operating income, you will help us realize this vision. 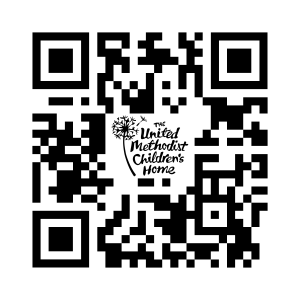 100% of your church’s offering goes directly to helping children and families! 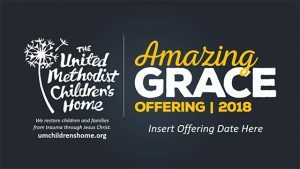 How can churches participate in the Amazing Grace Offering?